With a renewed interest in philately and numismatic, I found that I can be writing about such stuff in a blog dedicated to my traveling adventures. I am used to studying the cultural and religious differences of the people, be it a foreign or familiar land, while marveling at the wonders Mother Nature gave breath to as well as that which Man built in defiance of nature, sometimes even destroying it in the process. And philately and numismatics are undeniably an inseparable part of the development of a human civilization. Being the branch of study of stamps and postal history, as well as the collection of such items, philately tells the story of how mankind despises loneliness and thirsts for communication. 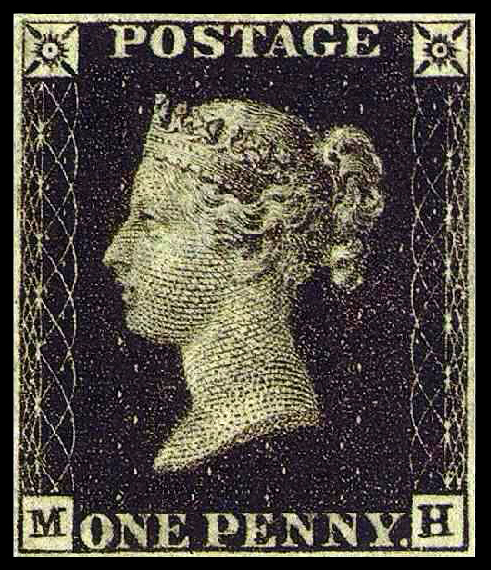 Penny Black, the world's first postage stamp (taken from Wikipedia). The term “stamp collecting” undoubtedly floats to the mind, but philately is more than that. It is the study of stamps and postages, which in turn tries to unravel the history of how messages and mails transit from one place to another. Such study could tell the culture and technology of a nation, which may no longer exist in the modern map. 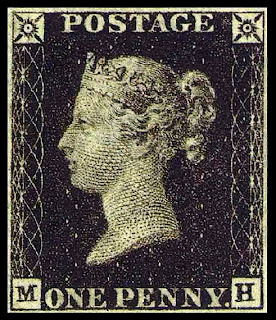 A philatelist may not even collect or own stamp. Older than the history of stamps, numismatics is the study and collection of currency, from coins to banknotes, although it is usually related to the former rather than the latter. This branch tells the story of how man requires trade to obtain goods, to create trade and to prosper. Every coin tells the story of the ruling party or leader when the coin is struck, as well as capturing what is precious or revered on it. Traveling undoubtedly requires money, and numismatics may not be cheap, especially if paper currency comes into play. It would be costly to try to collect and keep a SGD10,000 paper money just for appreciative purposes, for example. But collecting coins is not that difficult, nor is it that easy as one thought. Try collecting a coin which rarely sees circulation while you are traveling only for 5 days in a country. The fun though lies on knowing the culture of a people through their money. Some coins strikes their leader’s image into immortality on a coin, such as the king’s face on a Thai baht, whereas others placed monuments or artifacts of national pride on it, with the German eagle on Germany’s €2 coin being a good example. Not many may think of this, and not many of my friends did this, but it would be fun as well to seek out the local post office of a visiting country and post a postcard back home. The stamp and postmark on the postcard will be a great memory of the visited area, but the greater fun hides in the stamp itself. A usual definitive will contain what the nation thinks is representative to the country so that when the message is sent, the regards from the visiting nation is passed along as well. So are you collecting the coins and stamps of the country you visited? If not, why not start it now?